Mariner of the Seas is a ship that caters for every type of person – whether you’re one for relaxing, sightseeing or staying active. In 2014, this ship sets sail on a number of exciting cruises around Asia – and as ever, Cruise 1st Australia are right there with the best deals. Visit our Mariner of the Seas page to see all the latest deals, or read more to find out all about this stunning ship. One of five Voyager Class ships under Royal Caribbean International, Mariner of the Seas combines elegant class with an emphasis on fun and relaxation to create a complete cruise experience. There is something for you here whether you’re looking for a fun-packed adventure or a laid-back loll by the pool. Fitness fanatics will find plenty to keep them entertained in the on-board fitness centre, or on one of the many courts and pitches found around the ship – including football, basketball, volleyball and even rock climbing. Then there’s the ice skating rink, in-line skating and golf – you might just struggle to fit everything in! For rest and relaxation, look no further than the Day Spa – featuring a wide range of relaxing beauty treatments, massages and classes to help you find your inner zen. Or treat yourself at one of the cafes or shops along the Royal Promenade. There’s plenty to choose from when it comes to food: from fine Italian dining at Portofino to Chops Grille, which offers high-end grill food including steaks and salmon. Or if you want to dine in a more relaxing atmosphere, the Windjammer Cafe or Cafe Promenade might be right for you. Add to that a number of entertaining stage shows and performances, and you’ll see why a cruise on Mariner of the Seas is one you won’t forget too soon. Whether you’re on a tight budget or you want to splash out on something extravagant, there’s a room for you here. The smallest rooms are the interior staterooms – inside the ship with no sea view – but that doesn’t mean you won’t enjoy a little bit of the luxury found throughout the rest of the ship. Interior staterooms feature a number of nice touches including luxury bedding, TV, telephone, safe and a private bathroom. Meanwhile, the Outside staterooms offer all of the above plus views across the ocean. Balcony suites provide you with your own private balcony where you can take in the sea air and enjoy a morning coffee. And the deluxe suites are the very best accommodation this ship has to offer – with many exclusive benefits such as concierge service, priority check-in and much more. 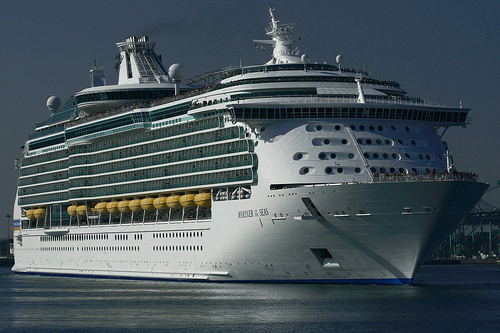 We’ve got a number of great deals on our Mariner of the Seas cruise deals page. If you can’t see what you’re after, use the search tool to find out what other fantastic deals we have available.